Rhode Island on Monday became the seventh US state to offer full-scale, regulated sports betting and the sixth since the striking down of the federal prohibition by the US Supreme Court. But it’s the first in New England, and its two casinos will enjoy a regional monopoly until Connecticut and Massachusetts follow suit, possibly next year. 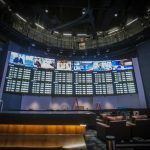 The Boston Herald reported that around 50 people had gathered to watch the opening ceremony at the Twin River Lincoln and to test their luck in its gleaming new sports book. The Herald interviewed one customer who had made the hour’s drive across the state line from Watertown, Massachusetts — highlighting the temporary advantage sports betting will bring to Rhode Island in the saturated New England casino market. “I’ve waited 40 years for this,” said State Senate President Dominick Ruggerio, as he placed the ceremonial first wager, backing the Houston Texans to beat the Tennessee Titans that evening — correctly, as it transpired. 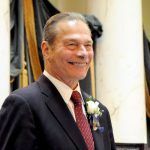 Ruggerio’s winnings will go to charity, but he was eager to emphasize that most of the proceeds of the sports betting market in general will go to the state — and to worthwhile projects like school renovation. He’s not exaggerating. Rhode Island’s take of 51 percent of gross gaming revenue will make it the most highly taxed sports betting market in the world. 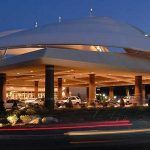 The remainder will be split between operator IGT, with 32 percent, and the casino, which will pick up a modest 17 percent. The state expects to bring in $23.5 million in new revenue from sport betting, based on a handle of $910 million per year. But for a small state with a population of one million, whose newfound competitive edge in the New England casino market will likely soon evaporate, those figures look high. The casinos had hoped to launch sports betting in October but were held back by regulatory red tape. The delay meant they missed two thirds of the football season, costing the state around $12 million in revenue, according to analysts’ estimates. 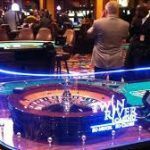 Currently, Twin River Lincoln is the only operational venue, although its sister property Twin River Tiverton is expected to launch a sports book in December. The state is also exploring the possibility of allowing betting through existing lottery agents and some sports bars in the future.